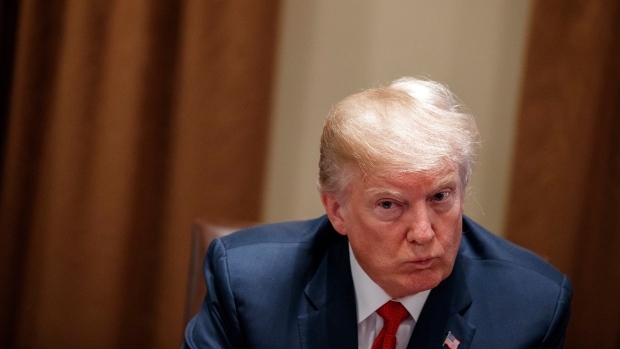 WASHINGTON -- U.S. President Donald Trump warned Tuesday that it's now or never when it comes to extending protections for young immigrants, while Senate Majority Leader Mitch McConnell threw his weight behind legislation based on the president's priorities. The comments came the day after the Senate voted 97-1 -- Ted Cruz, R-Texas, provided the sole "no" vote -- to plunge into an open-ended immigration debate that's been promised by McConnell. Both parties' leaders hope debate can be concluded this week, but it's unclear if that will happen or what the product, if any, will be. Trump also wants $25 billion for Trump's border wall with Mexico and other security measures, as well as curbs on legal immigration -- a must for many Republicans. Trudeau says his trade message is being heard in the U.S.